It is not easy to decide what Theme Parks to visit in Orlando because usually families has their own preferences in term of the environment they want to expose their children. Orlando Discount Tickets USA dedicates some time to recommend a beatiful theme park specialized on family entertainment, here we are making reference to Seaworld a very touching a family gather experience, in which you won’t feel that most of the attractions are design for grown up, instead your sensation is that everyone of the family will pleased with something great to do. Even is not the first theme park on popularity or attendance, Seaworld with 200 acres of land has a unique mix on thrilling rides, attraction, performances and diversion for the little ones like no other. If your goal is to feel the warm sensation of family reunion Seawolrd provides the spaces to build together unforgettable experiences. For those who doesn’t know Seaworld throughout the country, is a unique collection of 12 parks. In Orlando Seaworld has 200 acres of land to allow animal encounter. The experience of more than 10 years of Orlando Discount Tickets USA on the market of the hospitality industry revels that a revelant concern for parents is the entertainment of the little ones, I we truly believe Seaworld has a great infrastructure in term of rides buy also play grounds and interaction with animal and also with the cast member of the Seawolrd Park. Sea carrousel: The classic attraction of all time with theme ocean creatures. Shamu Express: A roller coaster apt for kids over 38 inches. Jazzy Jellies: This ride lift and spins families around giant waterspout. Ocean Commotion: a Fanta-sea themed tug boat that swings passengers side to side. A huge play ground area with four stories of colorful climbing nets and tunnels, nine slippery slides and splashy water maze. With Orlando Discount Tickets USA is very easy to get an awesome deal on prices of the admission that for Seaworld is around $99 dollars, however you can get by attending on of our ticket promotion the first to tickets for $25 dollars per person to get admission to Seaworld and free admission to either Acuatica or Busch Garden. Visit www.orlandodiscountticketsusa.com to discover more offers and the details of our promotions. One of the Theme Parks of Florida that is well known because of their exciting roller coasters is Busch Gardens that now has announce an addition to the adventure. Cobra Curse is announced them as the new roller coaster in the Egipt section of the Theme Park and it will has as attractive, a vertical elevation of 80 ft and turns on its own axis depending of the weight distribution of the passengers. On Cobra Curse at Busch Gardens the riders will ride for a length of 2.100 ft and the maximum speed reached will 40mph. On this sppining ride the passenger should be 42 inches or higher and will hace 9 cars with capacity for 8 riders per car. To complement the environment of the ride and as trend of the Theme Parks in Orlando waiting section, Cobra Curse at Busch Gardens will have air condition while riders wait at the line. Even Busch Gardens is located in Tampa about 1.5 hours of Orlando Central Florida is a great park for adventure and a must to visit while you are in Florida. With Orlando Discount Tickets USA you and your family can take advantage of the great deals in which you 1 day admission for Busch Gardens is $25 dollar per person and have the option to even have a day in Seaworld. The almost free admission to Busch Gardens is a perfect complement for next dream vacation. If you are looking for something more than tickets for a theme park in Orlando, take advantage of vacation deals with hotel accommodation and tickets for the first to people for only $169 with 4 days 3 nights for up to 4 people and admission for the first 2 people. 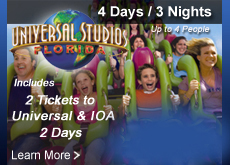 Visit www.orlandodiscountticketsusa.com to discover discounted vacation packages for your next vacation to Orlando Florida. Every year, frequent visitors to Theme Parks come to Orlando to enjoy their favorite attractions and also continously looking forward to discover what is new in terms of rides, characters, upgrade experience, events and much more. The first and probably more surprising and not so likely to fond put, will be the measure that Walt Disney World adopted on the pricing for the 1 Day Admission, which means if your decision on 2016 is visiting only one day at the Disney Theme Park you will be paying about $15 dollars more per person on top of the regular price. Because is summer the dates for this new system will be from May 28th through July 23th. The Disney purpose of this change is balance the amount of visitation that is expected to increase on the time of low rate of tourist. If you are looking for a Orlando Discounted Vacation begin exploring vacation packages that includes hotel accommodation and also admission for the theme parks. You can select the number of nights of your choice and also add the tickets for the parks you want to include on your discounted vacation package. On Summer 2016 here is a synopsis of the changes and new surprises available for the visitors. Disney Magic Kingdom: Instead of presence the performance of “Sing along with Mickey” guest will enjoy a new show “Mickey’s Royal Friendship Faire” a festive shows of magic and music at the scenario of Cinderella’s Castle. Disney Animal Kingdom: A new Show “Rivers of Lights is expected to be ready for summer and guest will enjoy amazing stories of the animals in a combination of lights, projections, fire, water and illumination of the Tree of Life. Disney Hollywood Studios: More than one surprise will be available at Hollywood Studios, that last year was criticized for not to have much to offer. On Summer 2016 Star Wars attraction will be evident with the new Star Wars Launch bay, Jedi Training, daily processionals of storm troopers led by Captain Phasma and the show Star Wars a Galaxi far Far Away, the fireworks Star Wars; A Galactic Spectacular and a new Sunset Showcase with the Villans Maleficient, the Queen of Hearts, the Evil Queen, and Cruela Devil. Because a lot of new thing will be available to the Disney Parks start planning a vacation package at discounted price, and definitely you might look to visit al leat 3 theme parks to really inmerse your self in all Disney Magic. Visit Orlando Disocunt Tickets USA where vacation packages of 6 days and 5 nights and Tickets to Visit the major theme parks of Disney Magic Kingdom, Holywood Studios Epcot and Animal Kingdom plus a bonus water parks starting at $689. If you have a more reduced budget it does matter Orlando Discount Tickets USA offer package that start with only $169 for 2 people attending 1 day at the Disney Theme Parks and hotel stay for 4 days and 3 nights. As the followers of what is going on at Walt Disney World Orlando and other Theme Parks in Orlando , Disney Hollywood Studios is been under a series of big transformation since the removal of the Mickey’s Sorcerers Hat. The transformation is redirected to a New Land of Star Wars and Toy Story – Start Wars Bay Launch. Few day ago at Disney Hollywood Studios is offering as a part of the 14 acres expansion of the park, 2 spectacules are now presented on regular basis. The first one is Star Wars: A Galaxi Fay Far Away and Phasma. Orlando Discount Tickets USA focus today on Star Wars Far Far Away Galaxi which is offered at Hollywood Boulevard at the shadows of the Great Movie Ride. The main insight of the show is presence some of the most representative character of the movie eclipsed with short by important moments of the movie. During the month of April 2016, the Show Star Wars Galaxi Far Far Away Galaxi will be performed hourly starting at 12:30 pm to 6:30 pm and has a duration of 15 minutes in which Kylo Ren, Chewbaca, Dart Vader, BB-8, Dart Maul will bring to life scenes of the movie and captive the publis with the real apereance. To get admission to Disney Hollywood Studios and al Star Wars entertaiment you don’t have to pay the full amount for the 1 day admission to the park, you and you spouse can get Disocunted Tickets for only $39 dollars per person by attending one of our resort presentations on of the morning of your visit in Orlando. 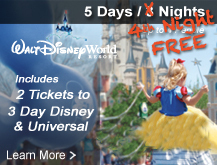 Visit www.orlandodiscountticketsusa.com to discover great deals on admission for the theme parks in Orlando and discounted vacation packages that includes hotel acomodation and admission for Disney Hollywood Studios in Orlando. What are the dates for Mickey’s Very Merry Christmas Celebration on 2016? The favorite Walt Disney World Holiday Tradition in Orlando has reveal the dates of the event on 2016. The Mickey’s Very Merry Christmas Celebration in Magic Kingdom an special event admission that year by year get more popularity to the point of getting many of the dates sold out with a lot of anticipation. Due to the success of the after hours event of Mickey’s Very Merry Christmas Party at Magic Kingdom this 2016 the celebration will held for 21 nights that now are published to the public and Orlando Discount Tickets USA inform you in order to start planning your Holiday Dates to visit Orlando and saving with the great vacation promotions to the Disney Theme Parks. This 2016 you can not miss this Christmas Party to presence Mickey’s Once upon a time Christmas time parade, an special edition of fireworks with the theme and projections of the holiday festivities and your favorites Disney Character with special attire due to the holiday season. During the after hours celebration is a great time also to enjoy some of your favorites attractions at the park. The price admission for the event is not published yet but we recommend start looking for vacation packages at discounted price starting at $169 and including 4 days and 3 nights hotel stay and 2 regular admission ticket to attend for one day at the theme parks. Visit www.orlandodiscoutticketsusa.com to discover the best prices on the market for your next holiday vacation in Orlando. April 22, de el presente 2016 prometia ser un gran dia para los visitantes de Animal Kingdom. En este fecha se conmemora el aniversario del parque pero también es el dia en que se celebra el día de la tierra. Para la fecha mencionada anteriormente se había anunciado la espectacular inauguración de “ Rivers of Light’”un nuevo show que seguramente dejara sin aliento a los visitantes. Este nuevo show cuenta con la construcción de un teatro con capacidad para 5.000 visitantes. Aparte de el aplazamiento de “River of Lights” en Disney Animal Kingdom la atracción nocturna de Kilimanjaro Safari será también aplazada y aun no se ha anunciado nueva fecha pero seguramente será cerca a las fechas inicialmente anunciadas. Si es bien sabido Animal Kingdom esta bajo una gran transformación con las atracciones mencionadas anteriormente y con el desarrolla de la tierra de Pandora en alusión a la famosa película Avatar. Para estar mas seguros de poder disfrutar de las nuevas inauguraciones en Disney Animal Kingdom recomendamos comenzar a reservar tu paquete vacacional incluyendo mas de un día de visita a a los parques de Disney y Orlando Discount Tickets USA ofrece paquetes vacacionales con acomodación de hotel por 4 dias y 3 noches y admisiones para los primeros 2 adultos para dos parques comenzando en $429 dolares. Si usted ya ha reservado su hotel Orlando Discount Tickets USA le ofrece admission para parques temáticos de Disney por 2 dos por tan solo $125 dolares por persona o por $14 dolares mas puede tener un tercer parque opcional de Disney que podría ser Blizzard Beach or Thyphoon Lagoon. Visit Orlando Discount Tickets USA para descubrir precios descontados para sus admisisones a Disney y otras atracciones turísticas en Orlando Florida. One of the attractive of the Festival is the series of concert that bring to life the classic hits. The performance takes place from 5:30 pm to 6:45 pm on week days and 8:00 pm every Friday, Saturday and Sunday. Garden Rocks Series of Concert will held on America Garden Theatre. To enjoy the Garden Series of Concert is require just the general admission for Disney Epcot which also includes the Epcot International Flower and Garden Festival is very easy with Orlando Discount Tickets USA promotions in which you can get the first to tickets for only $39 each by attending one of the promotional meeting in a resort. Here are the classics that will blossom during the Festival. Visit Orlando Discount Tickets USA to discover great vacation packages to Orlando Florida starting at $169 with acomodation for 4 days and 3 nights and tickets for one day admission to Epcot for one day for the first 2 people.